The overwhelming success of Dan Savage's "It Gets Better" YouTube project aimed at queer youth highlighted that despite the progress made in gay rights, LGBT people are still at high risk of being victimized. While the national focus remains on the mistreatment of gay people in schools, the reality is that LGBT families also face hostility in various settings--professional, recreational, and social. This is especially evident in rural communities, where the majority of LGBT families live, isolated from support networks more commonly found in urban spaces. Family Pride is the first book for queer parents, families, and allies that emphasizes community safety. 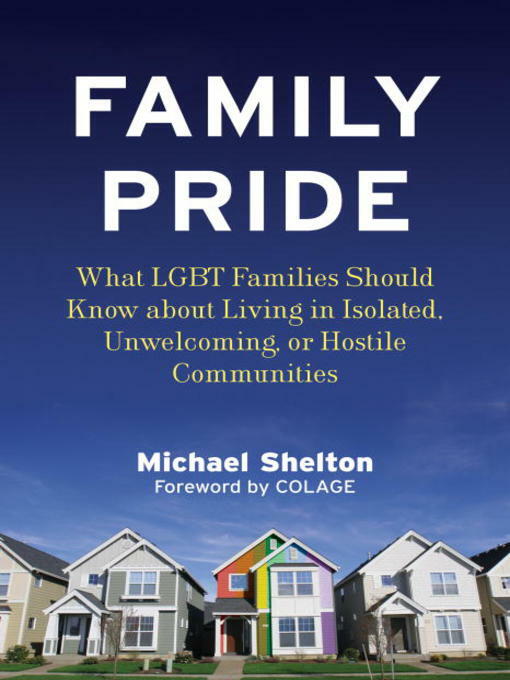 Drawing on his years as a dedicated community activist and on the experiences of LGBT parents, Michael Shelton offers concrete strategies that LGBT families can use to intervene in and resolve difficult community issues, teach their children resiliency skills, and find safe and respectful programs for their children. Elizabeth Castellana, Colage - Author of introduction, etc.